The unveiling of the 182 meter statue on Sadhu Bet Island in the Narmada river, nearly double the size of the Statue of Liberty (93 meters), and for now considered the highest such monument in the world, surpassing China’s Spring Temple Buddha (153 meters), is not only a fete of engineering but also one that the government of India expects will enhance the tourism potential of the country. More than 70,000 tons of cement, 18,500 tons of reinforced steel, 6,000 tons of structural steel and 1,700 tons of bronze, were used to build the structure, according to the Indian government. The video of the impressive yet solemn and simple inauguration ceremony circulating on the Web, shows Modi alighting to the first level (where Sardar Patel’s feet rest) via an impressive escalator, in the middle of a vast open landscape, and conducting a Hindu prayer ceremony, casting flowers in all directions. Helicopters flew over the statue showering petals like confetti from the sky. The statue is reached by a 17-km-long Valley of Flowers, and also includes a Tent City for tourists, and a museum recounting Sardar Patel’s life and contributions. A viewing gallery at 153 meters allows a panoramic view of the surrounding area including the Sardar Sarovar Dam, and the Satpura and Vindhya mountain ranges. Dedicating the Statue of Unity to the nation, Modi called on citizens to remain united despite forces of disunity, and hit out at the politicization of a leader who was instrumental in bringing hundreds of princely states together to make the new India a reality back in 1948 as the former Deputy Prime Minister and Union Home Minister. “Statue of Unity is to remind all those who question India’s existence and its integrity. This country was, is and will always be eternal,” Modi said in Hindi (as translated by Indo Asian News Service), contending that the enormous height of the statue was a reminder to youth of how high their aspirations could go. “The only mantra to fulfill these aspirations are ‘Ek Bharat-Shresth Bharat’ (One India, Best India). Statue of Unity is also symbolic of our engineering and technological affordability,” Modi said. Keeping the nation’s unity, diversity and sovereignty intact is one such responsibility which Patel has given to the countrymen, Modi said. “It’s our responsibility to give reply to every effort of dividing the country. We will have to remain vigilant and united as a society,” he said. The Prime Minister did not shy from taking aim at opposition parties in what seems like campaign season in full swing eight months prior to the next general election. 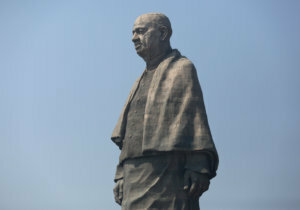 In the weeks prior to the inauguration, the ruling Bharatiya Janata Party and the opposition Congress, traded barbs about the Statue of Unity, including the expense of building it, as well as the role played by Sardar Patel, the acknowledged leader of modern India by all sides of the political divide. 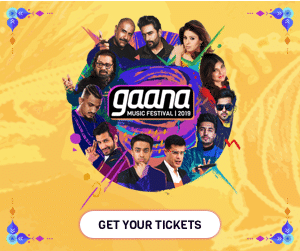 Modi, in his inaugural speech, said there were critics of his mission to recognize the contributions of historical figures like Sardar Patel, Chatrapati Shivaji Maharaj, Bhimrao Ambedkar, etc. “I am amazed that our efforts are seen with political specs. Praising great icons has also brought us criticism. It seems like we have committed a big crime,” Modi said. Critics however, have dwelt more on the expense of building the statue, and the land on which it is built, as well as characterizing the timing as “an election gimmick” by the ruling party. “They considered our diversity our biggest weakness but Sardar Patel converted this into our biggest strength. India is moving ahead on the path shown by him,” Modi is quoted saying said. “If today we are connected from Rajasthan’s Kutch to Nagaland’s Kohima and Jammu and Kashmir’s Kargil to Tamil Nadu’s Kanyakumari, it is because of Patel’s strong resolve and determination. “Had Sardar Patel not done it, the country would have needed visas for offering prayers at Somnath and visiting Charminar in Hyderabad,” Modi said referencing the late Indian leader’s work in bringing some 550 princely states into the Indian Union after the Partition of 1947. 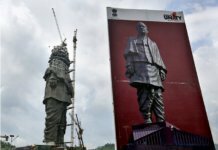 For some Indian-Americans, particularly those who hail from Gujarat, the Sardar Patel Statue of Unity, was long in coming, and a just recognition of a man they consider the primary leader of India. They have been recognizing Lohpati Sardar Patel’s leadership qualities and contributions for many years now in their own way. “I admired Sardar Patel from childhood,” says Albert Jasani of Royal Albert’s Palace in Fords, New Jersey. His banquet hall which holds almost daily events organized by Indian-Americans, boasts a statue of Sardar Patel that he commissioned and flew in from India in 2002. “When I visited his home in 1999, I learnt more about how hard he (Patel) had worked and did not get enough credit. I decided to build his statue on my premises,” Jasani told News India Times. Albert Jasani, 3rd from right, standing at the foot of the Sardar Patel statue he installed in front of his banquet hall, Royal Albert’s Palace, in Fords, N.J., seen here with other Indian-American community members. Photo courtesy Albert Jasani. “A lot of Indians come here and are from Gujarat, and this statue is like a place to learn about him,” Jasani added. He collaborates with the Ford’s Police Unity Team for close to 12 years now, and that organization has recognized May 9 as Sardar Patel Day, which Jasani quotes as a sign that Patel’s legacy is being recognized beyond the Indian-American community. “On Behalf Of Chairman & Executive Committee I would like to congratulate Prime Minister Shri Narendra Bhai Modi for unveiling The tallest statue in the world, honoring India’s first deputy prime minister The Iron Man Sardar Patel,” said Srujal Parikh, president of the Federation of Indian Associations of New York, New Jersey, and Connecticut, in a statement released to the media. “The 597-foot steel and bronze “Statue of Unity,” is dedicated to sculpture of modern India the Sardar Vallabhbhai Patel, who played a part in unifying the country and leading it to independence,” Parikh added. In 2006, Mukesh Kashiwala of One Digital Studio in Iselin, N.J., along with a Dr. Dinesh Sharma, brought out a self-published photobiography of Sardar Patel entitled, “Sardar: A Photobiography of Vallabhbhgai Patel The Architect of Modern India.” Kashiwala did not return News India Times’ call and message by press time, but the publication is available on Amazon. “What India is today – the largest democracy – is because of Sardar Patel. And I want to congratulate Prime Minister Modi for making it a long-lasting legacy,” said Padma Shri Dr. Sudhir Parikh (no relation to Srujal Parikh), publisher of News India Times. “Otherwise second and third generations may not learn about the work of Vallabhbhaiji,” he added. “I am a history buff, and had read everything about Sardar Patel growing up, and thought everything relating to the freedom struggle and post-independence India was hijacked by a couple of people,” said Prakash Waghmare, national chairperson of the philanthropic organization, Ekal Vidyala Foundation’s USA chapter. Ekal is the “largest literacy movement undertaken by non-resident Indians and Indians,” Waghmare told News India Times. “In a way Sardar Patel was a teacher on how to unify society – how to bring even splinter groups within the fold,” Waghmare contended, congratulating Modi for the statue. “The generations that came after independence seem to have a lack of appreciation for his (Sardar Patel) work. It was a herculean task for any single human being to bring 550 principalities together. Many people have no idea of that. This statue is a novel idea,” Waghmare added.